There are three main types of urinals, each with its own plumbing and design. They are the trough urinal, bucket urinal and against-the-wall urinal. These three prevailing designs have withstood the test of time and all of them are found commonly in public restrooms, from chic restaurant commodes to grocery store bathrooms. A bucket urinal gives each user his own bowl. The trough urinal is named for its resemblance to an animal feeding trough. This economical design provides spaces for up to eight men. 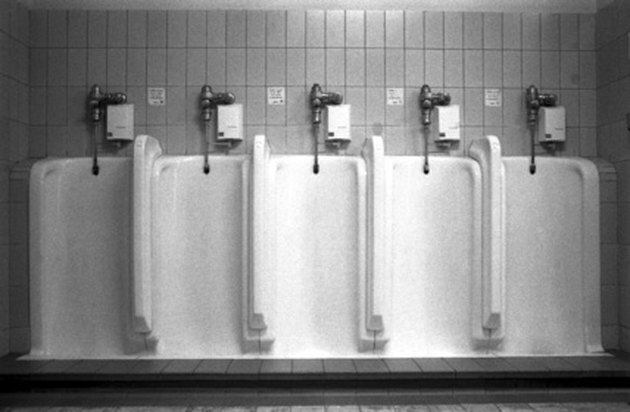 Trough urinals take up the same amount of space as bucket urinals, but are less expensive. The International Center for Bathroom Etiquette states that "troughs are very difficult to manage within the realm of proper urinal etiquette." Troughs are less private than individual urinals but are much more economical in regard to space and plumbing. Generally these types of urinals are made of stainless steel; occasionally they are made of porcelain. The individual bucket urinal is possibly the most common type of urinal. It has been around for hundreds of years and is still a favorite among designers and plumbers according to "Urinology: A Guide to Urinals." 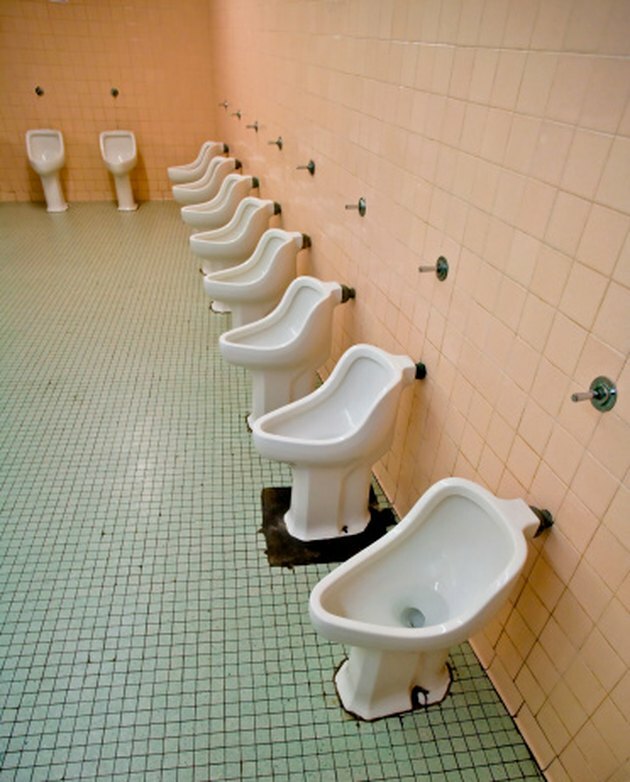 This type of urinal comes in many different shapes and designs. Its versatility is a main reason for its popularity. 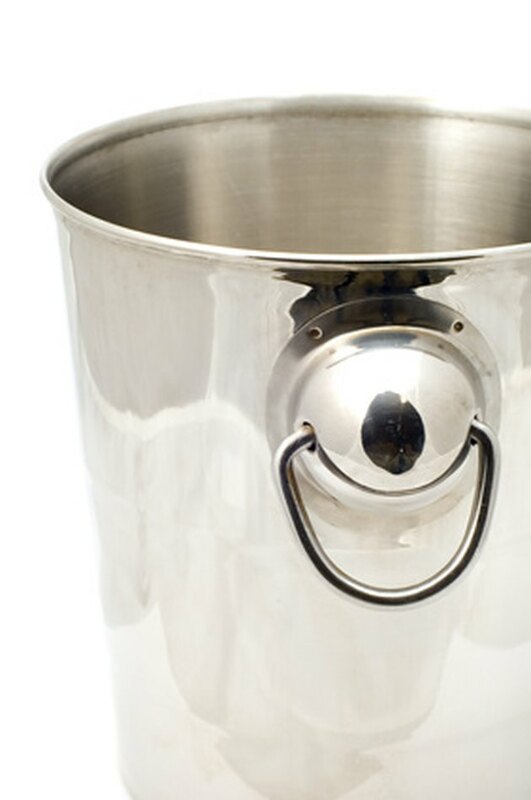 Typically the bucket urinal is made of porcelain, but may also be metal, plastic or even polished wood. Some public places, such as The Bavarian in Nottinghamshire, even use actual buckets piped with drains and spouts. An example of an against the wall urinal. This design features a drain that is at or below the level of feet. The "stream" is directed against a backing surface, as if you are urinating against a wall, then is directed down to the floor, where drains collect it. There are many variations of the against-the-wall urinal. According to Urinology, this design is sometimes referred to as a "slab" because of the large chunks of porcelain that are used to fit the urinal together. Each section is large and the sections share drains. Some against-the-wall urinals are aesthetically pleasing and placed in the most lavish of bathrooms. Others are simple and made of porcelain.